The California legislature is considering a bill, which would endanger the mental health of many of its college students, all in the name of women's health. Senate Bill 320 was introduced by Senator Leyva with the intended purpose to make medication abortions readily accessible to women on public college campuses. The bill establishes a fund to help make the facilities ready to provide these abortions by January of 2019. The bill's author claims that these abortion services are necessary to ensure women's health and success in college. This language appeals to many college age girls, who may not fully understand the emotional ramifications of undergoing an abortion procedure. Many girls will not stop to question why an abortion would allow them to be successful, or if it will, in the long-term, lead instead to greater pain and regret. Instead, this bill will encourage them to make a life altering decision with little reflection, and, by the time they recognize that success alongside motherhood is possible, it will be too late to change their minds. We should pause before advocating to a generation of young women that their success in any way may require sacrificing the life of their own child. The bill keeps women in the dark as to what is really at stake. The Senate Health Committee bill analysis states, "women should not have to wait additional time or travel long distances when they may have already decided to end their pregnancy." The California legislative website provides six bill analyses with similar claims, all of which address the physical safety for women who undergo this procedure. Yet neither the bill nor the analyses provided address the mental health concerns caused by abortion. If this bill is intended to better women's health in some way, their psychological health should absolutely be made a factor in the discussion. This is precisely what is being ignored. A recent analysis in the British Journal of Psychiatry of 22 studies has shown that having an abortion negatively impacts women's mental health. One of the studies analyzed had as its control group women with unintended pregnancies, those who underwent an abortion fared worse mentally than those who carried their unintended pregnancies to term. 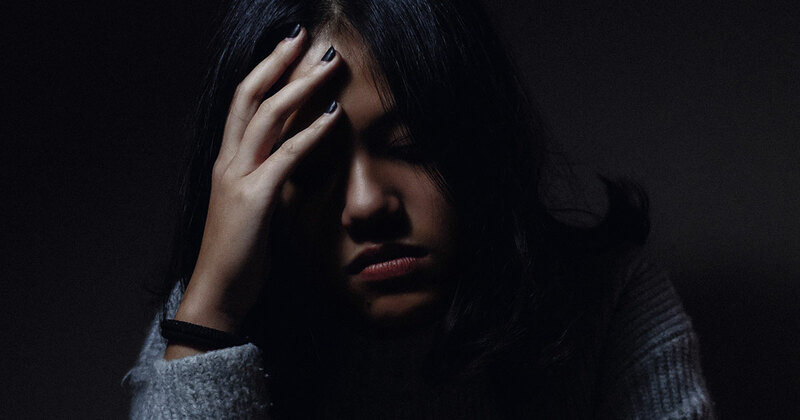 The analysis of all 22 studies detailed that women who were post-abortive were more likely to have issues with substance abuse and had greater anxiety, depression, and suicidal thoughts than non-abortive women. In addition a study in the Journal of Youth and Adolescence was conducted of adolescents who had undergone abortion procedures. While it did not study suicide rates, it demonstrated an increase in need for counseling, as well as an increase in sleep disorders, and substance abuse. Even so, none of this was discussed in either the legislation or the bill analyses. Mental health should be an important concern for those advancing this legislation, but it is not, and the statistics do not support abortion as being beneficial for women's mental health. This needs to be a significant part of the discussion in any bill, which claims to advocate for women's health and success in college. With all abortions, women face increased likelihood of mental health issues, but there is an element unique to medication abortions. Medication abortions are fundamentally different from surgical abortions. One procedure takes place in a facility with a medical practitioner, while in the other the mother is often alone at home during this stressful and emotional experience. She will have to dispose of and see the remains of her aborted child. Medication abortions are a two-step process. After it is determined that the woman is pregnant, she takes the first pill. This blocks necessary hormones and breaks down the lining of the uterus. This will eventually kill the baby. After 6-72 hours, the woman then takes a second pill, and causes her to start having contractions, which leads to the uterine lining as well as the unborn child to be expelled from her body. The woman often at home alone during this traumatic experience, or, in this case, quite possibly alone in her dorm room. She will go through this second stage for hours. She will be in pain. She will most likely be alone, and, quite possibly, she will see her aborted child. This procedure can only be conducted for the first ten weeks of pregnancy. By that point, the unborn child will quite clearly look like a very small baby, and the mom will be able to see the miniature fingers and toes. The mother, a young college student, will be responsible for disposing of the remains of her child. Miscarriages, while undesired, are traumatic. For a young woman to go through a medical abortion alone has great potential to take a great emotional toll. According to Planned Parenthood, medication abortions are similar to an "early miscarriage" or a "really heavy period." This, however, ignores the fact that woman has intentionally taken medication that has led to the death of her child. For this reason, medication abortions are significantly different from a woman's menstrual cycle. To compare it to miscarriage ignores this, and it is a slap in the face to all parents who have lost their child to miscarriage and have been deeply devastated by the process. The California Senate Committee on Health's analysis also uses language making this comparison. It states, "The two-pill process leads to a result similar to a miscarriage." Pro-life advocates need to first stand against this legislation and urge their representatives to vote against its implementation. They also need to be aware and educate others that it is possible to reverse medication abortions. For the best possible result, treatment should be administered within 24 hours, but patients are accepted up until 72 hours after the first pill has been taken. With this treatment, there is a 55 percent success rate for women who decide that they want to reverse the abortion, and there is no record of birth defects. It will be essential for pro-life advocates to get this information to college students in California. Finally, they need to be ready to care for post-abortive women. They will need to care for the young mothers, who are themselves victims of abortion and help them through the long healing process. Randy Alcorn. Why Pro-life? Caring for the Unborn and Their Mothers. (Peabody, MA: Hendrickson Publishing Marketing, LLC, 2012) 18.